In the space of eight months, the Qld Government has reformed Environmental regulation and the machinery of Government. The newly elected Qld Government adopted the former Government’s Greentape Reduction Act (2012). As you may recall, the Environmental Protection (Greentape Reduction) and Other Legislation Amendment Bill 2011 was introduced into parliament in October 2011. The Bill lapsed when the Queensland state election was called. While there is a strong case for reducing duplication and unnecessary paper work, many folks from the conservation and/or environment movement have grave concerns about the compromising on Environmental Protection and fast-tracking development. The Newman Government's commitment includes the introduction of the Environmental Protection (Greentape Reduction) and Other Legislation Amendment Bill 2012 into the 54th parliament on 29 May 2012. The legislation was adopted by the Newman Government and is intended to streamline environmental regulation to allow development to move through bureaucratic approval processes. The bill was passed on 31 July 2012, but will not take effect until March, 2013. Other reforms have simply removed environmental protections, clearing the way for increased development of the state. One of Newman’s first acts as Premier was to push the Commonwealth to cede power to the states for environmental approvals and management. 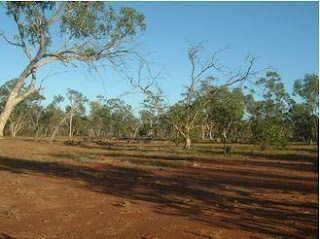 On 13 April 2012, the Council of Australian Governments (COAG) released a communiqué announcing its intention to implement changes to environmental laws across Australia. The changes are directed at both Federal and State laws with an emphasis on ‘streamlining’ environmental assessment processes. Presently, the Federal Government has to sign off on development in areas designated as having “national environmental significance”. Supported by some within the private sector, the Qld Premier and Premiers from Western Australia, New South Wales and Victoria want the Federal Government to hand over control of the Environment Protection and Biodiversity Conservation (EPBC) Act. The Federal Government has since backed away from the changes and will retain oversight powers. The Qld Premier has lobbied for development in the fragile Great Barrier Reef area, for which there are about 45 development proposals in the pipeline. Dredging work in the Gladstone area, which has already led to changes in environmental standards, is supported by the Qld State Government. The Qld Government is committed to the “four pillar” economy. The four pillars are tourism, agriculture, resources and construction and LNP policy specifically advocates for a removal of impediments to this economy. The previous Government had amalgamated a number of Departments into the Department of Environment and Resource Management (DERM). The current Government has dismantled DERM. - State Development, Infrastructure and Planning. - The Office of Climate Change was disbanded in May, 2012. In a press conference after his election, Newman said the changes would “create a department with a stronger focus on environment” and that he wanted to be able to speed up mining and development approvals. In November 2012, National Parks, Recreation, Sport and Racing minister Steven Dickson announced legislative changes to boost tourism in national parks. The Newman’s Government wants Tourism and National parks together. The Qld State Government has also made redundant 30 inspectors, whose role was to carry out compliance checks on resource and development projects with environmental conditions attached. The Queensland ombudsman, Phil Clarke, released a report on 26 September 2012 that found streamlined government processes designed to ensure consistent, expert advice when making environmental assessments were no longer working properly. In August 2012, the temporary state planning policy ‘Planning for Prosperity’ was released. The Qld coastal-protection plan which regulated development was suspended in October 2012 because it “is not sufficiently supportive of the Government’s commitment to grow the four pillars of Qld’s economy”, according to the draft plan that replaces it.